Sign up for free and just shop with Sky Broadband as normal. Our members earned £90,000+ at Sky Broadband in the past month. Cashback is available to new Sky customers only who do not have a Sky Broadband account. New customer orders must be completed WHOLLY online, if the order is finalised over the phone, the order will not be eligible for cashback. If you are already a Sky Broadband customer regrading to a better package, for example from Broadband Unlimited to Fibre. In order to earn Sky cashback rates, a monthly subscription to the Sky product you are purchasing is essential. New customer cashback is only available to residential customers who sign-up online from start to finish and automatically processed. Minimum 12 month contract applies. Only one transaction will be awarded over a period of 12 months per member account. Upgrades will not be eligible for cashback if a purchase is made within 24 hours of a new contract. Please note that the use of a Sky Broadband - New Customers promotional/voucher code not posted and approved by TopCashback, may affect your eligibility for cashback. Sky Broadband cashback can be earned simply by clicking through to the merchant and shopping as normal. This offer is not available direct through Sky or through the call centres or retailers. Sky customer service will be unable to assist you with any queries relating to your TopCashback cashback. All Pre-Paid Master Card's are supplied by Sky, these will be sent via e-mail after activation of your Sky Package. Sky Broadband - New Customers cashback is available through TopCashback on genuine, tracked transactions completed immediately and wholly online. Sky cashback claims will not get submitted until the activation for your Sky package has passed. Sky’s Customer service does not handle cashback claims. All claims sites should be addressed to TopCashback directly. You will be unable to submit a claim if your transaction has been declined. Please keep a record of your Sky customer ID and order number – you’ll need these in the unlikely event you need to make a claim. 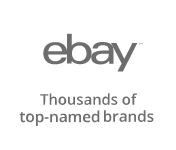 Cashback deals are TopCashback online offers only – you won’t get cashback by contacting Sky directly. Your purchase must be completed online without visiting any other sites in between or you’ll lose out. Cashback will only be paid out for Sky Sports or Sky Cinema products for both new and existing (upgrading) customers, providing the customer remains on their contract for 6 months. 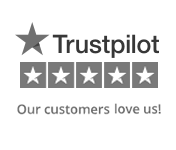 We will issue the cashback owed to the customer 6 months after the transaction date. If you have been a Sky UK customer in the last 12 months you should visit the Sky Existing customers Page. There are various broadband packages available, meaning you can choose the one which best suits your needs or budget. Whichever package you choose, all come with Sky Talk and Talk Shield, as well as a McAfee Internet Security Suite trial for 12 months. You will also never have to worry about how much you use your broadband as each package offers an unlimited monthly usage allowance. If you just need your broadband for browsing the Internet and sending emails, their fast Sky Broadband Unlimited package offers an average download speed of 11Mb. If there are a few of you in your household who will regularly need to get online at the same time, or you work from home, you may need a faster broadband speed. In this case, superfast Sky Fibre Unlimited could be for you as it provides an average download speed of 36Mb. If you or your kids love to watch box sets or enjoy streaming videos on YouTube, or are constantly playing online games, their fastest Sky Fibre Max package offers an average download speed of 63Mb. View the latest monthly price of each package, while you may also have to pay a one-off fee when you sign up. Check to see if there are any Sky Broadband deals being offered, while if you sign up to TopCashback via this page, you can get some money back thanks to our amazing cashback offers. Once you have chosen your standard or fibre broadband package, you can add a Sky Talk package. You can choose to pay only for the calls you make with Sky Pay As You Talk or add one of their Sky Talk packages with inclusive calls. Whichever option you go for, all of their broadband packages include line rental as standard. Whether you are constantly chatting with friends or mostly check in with your family at the weekend, there is a call package to suit you. With Sky Talk Evenings & Weekends Extra, make a call to a UK landline (conditions apply) or mobile phone at the weekend or on a weekday evening and it will be included in the monthly cost. Calls to 0845 and 0870 numbers are also included at the weekend and in the evenings. With Sky Talk Anytime Extra and Sky Talk International Extra, calls to UK landlines and mobile phones, plus calls to 0845 and 0870 numbers, are included at all times. With Sky Talk Anytime Extra, international calls are charged at 2p per minute to 22 destinations, while with Sky Talk International Extra, you will benefit from inclusive calls to 50 destinations. All packages include calls to Sky customer service 24/7. With Sky Line Rental, caller display and automatic number withhold are included, while you can add voicemail. Those looking to save on Sky deals can pick up money off a variety of services by simply shopping trough TopCashack. Those looking to get a new broadband package can opt for an offer at the top of this page, which will save you over going direct; remember to check back at different times as offers are always changing. Anyone who’s already with Sky can make cashback savings too. If you want to add broadband to an existing TV package, then check out our dedicated offers page on Sky Broadband upgrades. Meanwhile, if you are seeking out extra channels, sports or movies be sure to have a look at the TopCashback Sky TV upgrade page for more savings. As well as being able to add a Sky Talk package to their Sky Broadband deals, you will get plenty more included. You will receive the Sky Q Hub, which uses the latest Wi-Fi technology to deliver speeds up to three times faster than the previous generation of routers. The Sky Hub's Smart Signal Technology also ensures the best Wi-Fi connection and most reliable experience. If you have Sky Q, your boxes will automatically act as hotspots to improve the Wi-Fi speed and coverage in your home. You will also benefit from Sky Talk Shield, which is their personalised call screening service for your home phone. It will allow you to answer the calls you want to and block the ones you don't. Sky Broadband Shield, meanwhile, will put you in control of your family's online experience and help provide protection. Safe Search will block explicit content from search results, while you can customise it thanks to clear age categories. 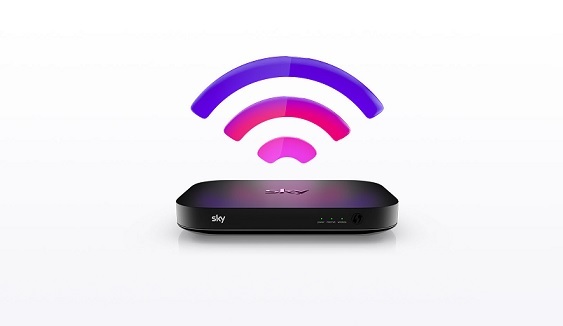 Sky Broadband Shield works on all devices, including smartphones, tablets and games consoles, when connected to Sky Broadband. If you are looking for a great TV package to go with your Sky Broadband, you can add the Sky Entertainment package, which features more than 300 channels, including Sky Sports Mix. Watch the latest US blockbusters on Sky Atlantic, while you will also get more than 60 catch-up TV channels. You will never have to miss another show again thanks to the likes of BBC iPlayer and the ITV Hub, while you can watch the latest shows from the last 30 days. All you will need to do is connect your compatible Sky box to your broadband router and you are ready to go. With a Sky Q 1TB box, you can record three shows while watching a fourth, plus store up to 500 hours of TV. You can also catch shows and movies live or on demand with Sky Go on your compatible tablet, mobile or laptop at no extra cost with Sky TV. You can even use it to set your box to record or download a programme when you are out. Keep checking their website as you might find some superb Sky TV and Broadband deals. If you are interested in grabbing one of the Sky TV and Broadband deals, it is easy to switch from providers like BT, Plusnet, TalkTalk, EE and Vodafone. All you need to do is place your order and Sky will cancel your existing contract with them. Then, around two weeks after you have placed your order, your broadband and phone services will be switched from your current provider to Sky. All you will need to do then is connect your Sky Hub, meaning you should only be without service for a matter of minutes. If you are currently with Virgin Media, the switching process is slightly different, but you will find all the information you could need on the Sky website. The sky's the limit when it comes to watching great TV with these deals, which will earn you fantastic cashback rewards. Sign up to Sky to watch the best selection of films, sports and TV shows, all available in stunning HD and even 3D. Add Sky's broadband to stay connected and browse the Internet, as well as benefit from on-demand TV. Browse a great selection of bundles to suit all tastes and budgets, whether you are a sports addict, a movie buff or just want to catch the latest hit TV series. Pause and rewind live TV, use remote record or watch wherever you are with Sky Go.